Hyper-realistic graphics and mechanics have always been Forza’s big selling point and it doesn’t look like the upcoming Forza Motorsport 7 will disappoint. Unveiled over the weekend at E3 2017 in Los Angeles, the game will be available on Microsoft’s new Xbox One X console, which will allow it to run in 4K at 60 frames per second. And here we have five minutes of sweet, sweet gameplay, courtesy of The Verge, to lose our minds to. I’m marveling at how sharp everything is. Utterly. It’s like I can feel the raindrops hitting my face. The windshield wipers are even flapping from the speed. Flapping! 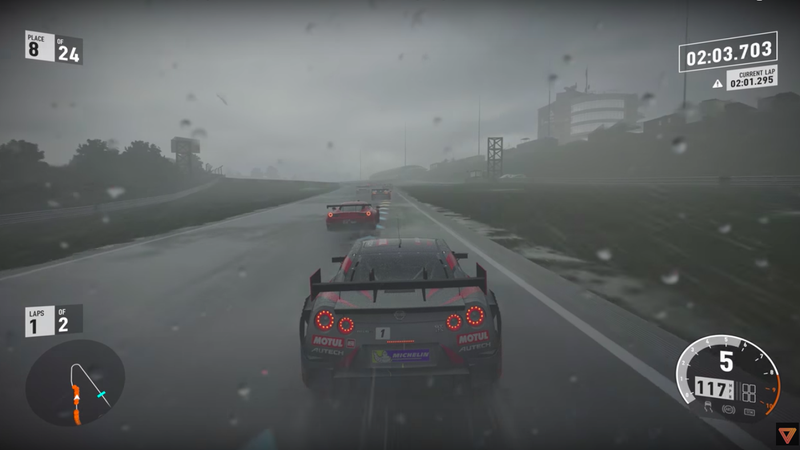 In Forza 6, rain was just, well, rain. It only meant that the track was wetter and you had to exercise greater caution with the throttle. There were puddles, yes, but they pretty much stayed in one place throughout the race. ...every time you race, and even during the races (as you can see above), the weather will be different, and the tracks respond in kind. Puddles will build as the rain keeps pounding down, and severe heat in the game’s new featured track — Dubai — will affect how fast your tires wear, and more. Here’s the Forza 7 announcement trailer, in case you missed it. And it will have Porsches. Who’s got plans for October? I know I do now.